Have you ever dreamed of living close to the new US Bank Stadium in the desirable Elliot Park neighborhood? If so, the twenty seven-story high-rise condo community Skyscape could be the right fit for your new home! Located on S 10th Street and Portland Ave, Skyscape finds itself in the heart of Elliot Park. Skyscape is close to all of the great shopping and restaurants housed in downtown Minneapolis. 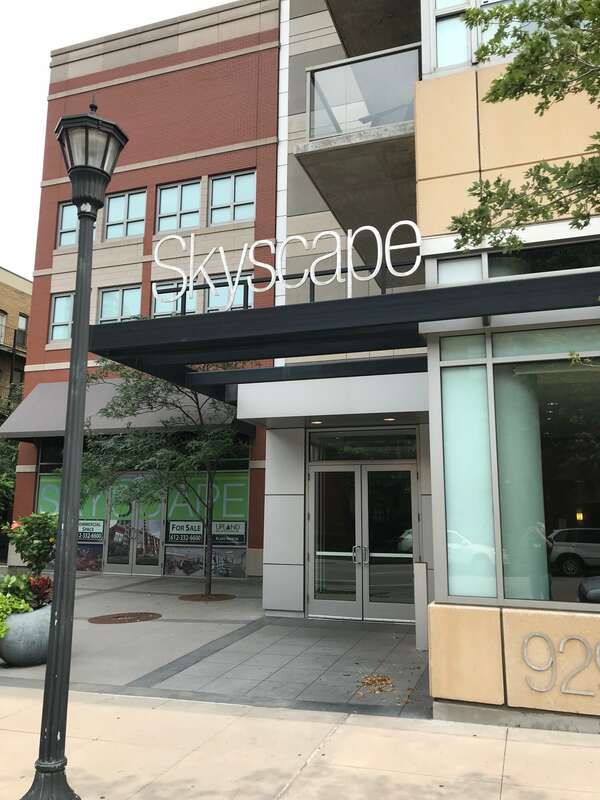 Skyscape is in an excellent location for anyone working downtown and the suburbs as well with its close proximity to both highway I-94 and highway I-35. Skyscape residents have some of the top shared amenities for their residents. Below are some of the perks available to owners. An extravagant community room with a 200 person capacity, media room, pool table, and lounge. Common, domesticated house pets such as dogs, cats, fish or birds (“pets”) may be kept by a resident in his/her Unit, subject to these Rules and Regulations. No other animals may be kept or used anywhere on the Property. Birds, fish and other small household pets (other than dogs and cats) shall be kept in appropriate cages or tanks in the Unit. A maximum of two dogs or two cats, or one of each, may be kept in any Unit. Any pet must be housed and maintained exclusively within the responsible Owner’s Unit. Pets must be leashed in conformance with local leash laws and under the direct control of the Owner housing the pet or other handler at all times on the Property. Outdoor pet houses, shelters or enclosures of any type are prohibited. Pets may not be kept or tethered on balconies and terraces. Owners are responsible to pay for any damage to the Property caused by pets housed within such Owner’s Unit, and are obligated to hold harmless and indemnify the Association, and its officers and directors, against any loss, claims or liability arising out of any act of the pet. Pets are not allowed to relieve themselves on the Property, except for certain pets, such as cats or birds, within the responsible Owner’s Unit. Owners or other handlers are responsible for prompt cleanup of pet waste. Pets, with the exception of qualified ‘service animals,’ are not allowed in any of the 6th floor amenity rooms or the 6th floor amenity deck. Any repeated or prolonged disturbance by a pet, such as noise, odor, waste, or threatening or nuisance activity, may be cause for imposition of a fine on the Owner of the Unit housing the pet and/or the removal of the offending pet from the Property. Decisions concerning the removal of a pet shall be made by the Board; however, upon the written request of the affected Owner the removal of the pet shall be determined by a vote of the Owners at a meeting of the Association provided that the Owner requesting the meeting must pay the cost of calling and holding the meeting. Notwithstanding the foregoing, no Rules shall be imposed which restrict the keeping of a qualified “service animal” for a disabled or handicapped person in violation of any applicable state or federal statutes, regulations or rules. However, service animals are subject to the same behavioral standards as similar types of pets. Any pet that has attacked or bitten a person, or a pet that has vicious tendencies such that it must be removed or restrained when people are present. Dogs already living in the building at the time this rule was adopted are hereby grandfathered in and do not need to be removed. 10. A Pet Registration Form must be completed when a homeowner/resident moves in. 1. Leases shall be for a minimum term of six (6) months (except that mortgage holders acquiring title to a Unit through foreclosure or deed in lieu of foreclosure shall be exempt, and the Board may waive the requirement for emergencies or extenuating circumstances). 2. The entire Unit (not individual rooms or spaces) must be leased, unless the Owner contemporaneously occupies the Unit. 3. All leases shall be in writing, and a signed copy must be provided to the On Site Property Manager. 4. An addendum with Assignment of Rents, in the form approved by the Board, must be attached to all leases prior to their execution and a signed copy provided to the On Site Property Manager. Prior to commencing the background check noted below, the Owner must provide evidence that the Owner is in compliance with the City of Minneapolis landlord registration requirements. Owners must obtain the required license through the city prior to rental. 5. Each Owner, prior to the execution of a lease for the Owner’s Unit, must submit an application through the association using a reputable, licensed screening organization approved by the Board for the purpose of screening the prospective lessee . The approval or non-approval of the applicant will be the sole responsibility of the homeowner. The fee for processing the application shall be $75 per person. This fee may be changed. The Owner desiring to lease the Unit shall pay the cost of the application. The application process shall be conducted in a nondiscriminatory manner and in accordance with all applicable laws. No personal data may be sought with respect to any prospective lessee with regard to race, gender, religious preference, sexual orientation, marital status or any other factor which identifies the prospective lessee as being within a protected class under the Fair Housing Amendments Act of 1988 or the Minnesota Human Rights Act. Further, no procedure may require that the prospective lessee submit to a personal interview with the Association or provide a picture or other physical identification. 6. A fully executed Collateral Assignment of Rents agreement must accompany the lease and Addendum. incurred in the enforcement process, all of which shall be a personal obligation of the Owner and an assessment and lien against the Owner’s Unit. 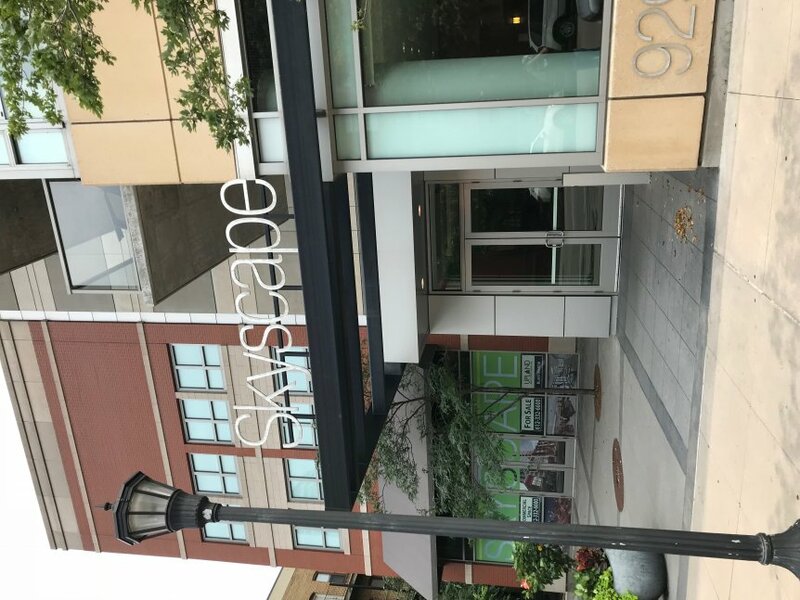 Browse all available Skyscape condo listings and contact a Pro Team agent to schedule a showing.